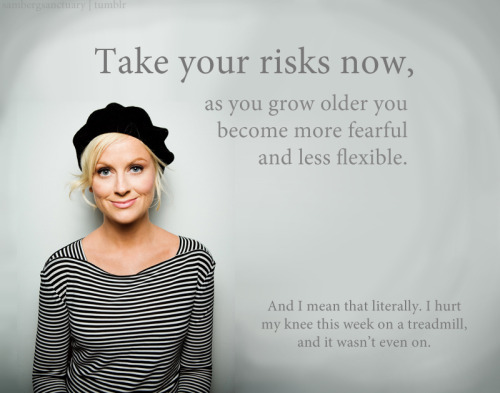 As you grow older the less you put yourself on risks and this also applies in accepting job assignments. I remember being so brave in all undertakings related to my work when I was just in my 20's and 30's but as I reached my 40's I decided to work in the comfort of my home doing what I love most - writing and taking care of my kids. People like to do the things that they love when they grow old and didn't want to gamble or take some risks on big decisions in life unlike when you're younger and wanted to try everything. Aha on your age! Hahaha.